Around the world, mantrailing is increasing its following due to its appeal to professional handlers training dogs for search and rescue or rehabilitating insecure, anxious and hyperactive dogs - or simply as a new trend among amateurs. The dog learns to follow a trail of scents over long distances which provides him with proper exercise. The book introduces you to the art of trail laying, explains the role of weather conditions, helps you determine the type of tracking dog your dog is and tells you how to correctly read your dog’s body language. 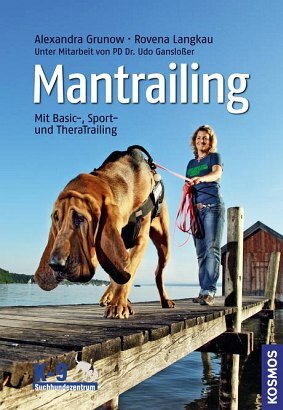 Alexandra Grunow owns the German K9 Mantrailing Center. Together with her colleague Rovena Langkau, she is working on optimizing the maintrailing training standards and methods - for amateurs and professionals alike. Dr. Udo Gansloßer works as an associate professor at the University of Greifswald, Germany, and oversees several research projects on domestic dogs. Alexandra Grunow and Rovena Langkau are the owners of the K-9 search and rescue dog centre with several bases in Germany, Austria, Switzerland and Luxembourg. Together they work on optimizing search and rescue dog training in both the family and professional arenas.